If you have any questions about the Swan 80 information page below please contact us. 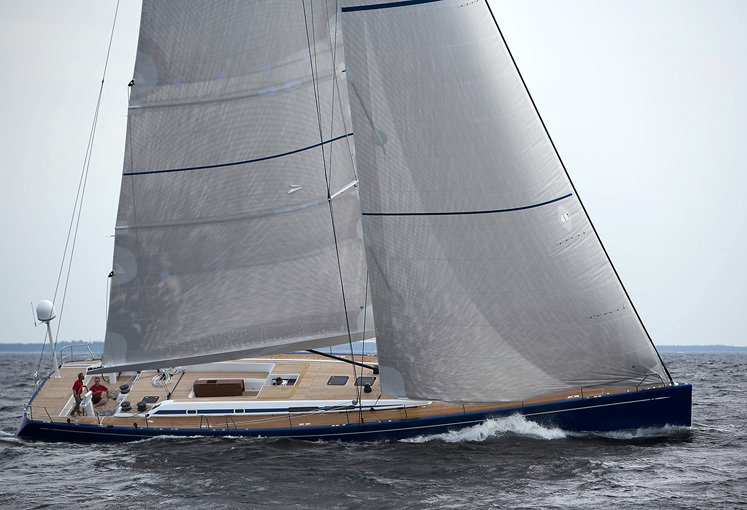 25m sailing yacht SWAN 80 is an up to date expression of the fast Maxi-cruiser concept with a launch in 2012. She is the result of accumulated knowledge, yet drawn afresh. Swan 80 superyacht is a modern sailing vessel built to be fast, yet be perfectly in keeping with Nautor´s Swan´s traditional core values: elegant lines, luxurious interiors, ease of handling and reliability. Super yacht Swan 80 boasts a performance oriented hull and the clean deck layout masks comfortable internal volume and a wealth of technical features that combine to offer outstanding long range cruising capabilities. Luxury yacht SWAN 80's proportions and lines draw the eye and reflect a long-time reputation and tradition in the yacht making with no signs of slowing down. SWAN 80 has a beam of 6.08m (19´95´´) and a draft of 4.00m (13´12´´). We do have available further accommodation information for yacht Swan 80, so please enquire for more information. We do have available further amenity, owner and price information for the 25m (83´) yacht Swan 80, so please enquire for more information. The luxury yacht Swan 80 displayed on this page is merely informational and she is not necessarily available for yacht charter or for sale, nor is she represented or marketed in anyway by CharterWorld. This web page and the superyacht information contained herein is not contractual. All yacht specifications and informations are displayed in good faith but CharterWorld does not warrant or assume any legal liability or responsibility for the current accuracy, completeness, validity, or usefulness of any superyacht information and/or images displayed. All boat information is subject to change without prior notice and may not be current.